My father had a recording studio in our house for awhile. I was but a lad at the time; maybe in middle school. After a session, a great area drummer named Carl Mattola, who was a cool guy and a good friend of my dad's, left his drums behind in anticipation of an upcoming session. The thing was, he hadn't left any sticks, so I couldn't play them. 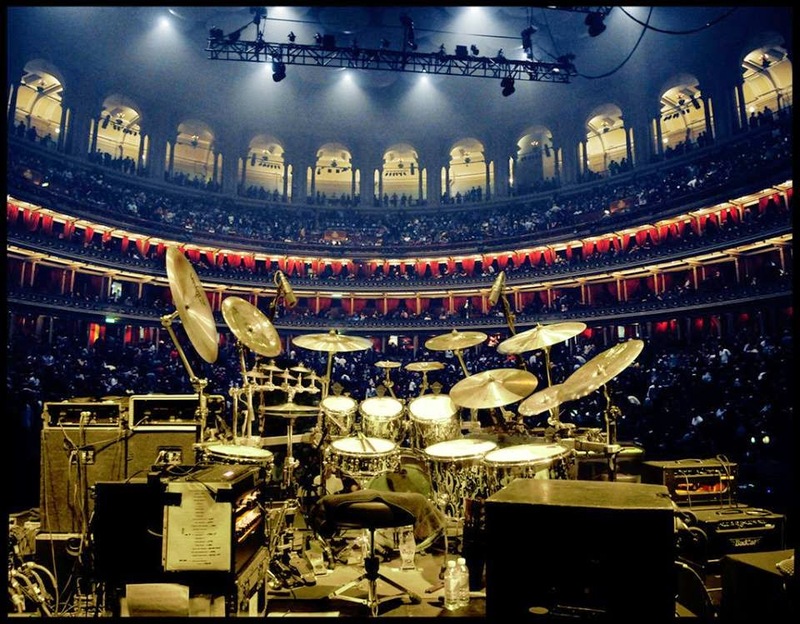 Gavin Harrison's set on a King Crimson tour: potential energy. Here, a cymbal hung in perfect reach; there a pedal for one foot; there a pedal for the other foot. The drum set was a mechanism for a kind of Tai Chi movement of four limbs at different times and in different ways; there was the potential of bringing the disparate instruments of a hi-hat cymbal (that could hit or played with the feet) a crash cymbal, a "ride cymbal," a snare drum, a kick drum and a mounted tom-tom and a floor tom all into focused rhythmic pattern that could only come out of a musical oneness with Tao or Zen or "The Groove" whatever you wanted to call it. I'd sit with my feet on the pedals and imagine playing. I'd envision it. But... no sticks. After a while, I'd move to the front and look at the shining chrome hardware and at the golden-colored cymbals and at the pearly finish on the drums themselves. The lugs on the shells were in perfect order, each one applying balanced pressure to bring the drum head up to the right pitch -- a head on either end of the drum balanced with itself and the other head, waiting for the movement of air that would produce a sound that balanced somewhere between refinement and barbarity. Dave Weckl: perfect order; endless tone colors. The instrument itself had all of the potential to show the strengths a man should have: art, subtlety, flexibility, strength, coordination, sensitivity, intellectuality and primal power, when necessary. Remembering how Carl would seem so effortlessly to move around the drums, I would envision myself as their master. Or, better still, their uniter. The drummer is the band's shepherd. If he doesn't keep things together rhythmically, there is no hope for the flock to stay together. A bad drummer causes a good band be bad no matter how good the other musicians are. To this day, it is a responsibility that I sometimes do and sometimes don't live up to. 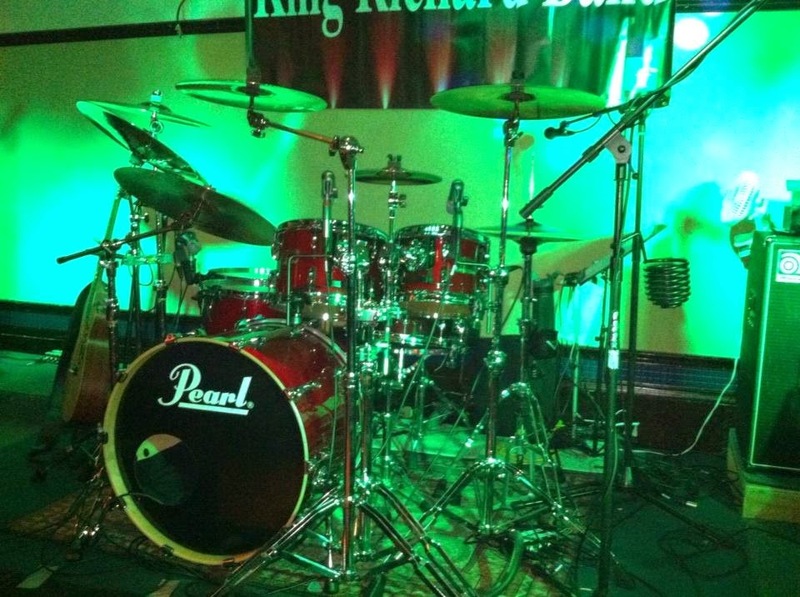 Sure, there's the look of a drum set -- the beautiful finishes, the brightness of the metals, the individual drummer's ergonomic and aesthetic sense of how they look attractive when set up on stage... But there is such a beautiful potential in a drummerless drum set and I don't think I will ever tire of looking at it...no matter how weird I might look between sets looking up at a stage without a band on it.